The cell phones are all over and with everyone. It provides all facilities to stay connected with one another. Mobile phones are not only the source of communication but also provide you entertainment as well as information through the internet. Cell phones have made conversation simpler with quick establishing of calls and SMS. Our life, for the most part, rotates around the call, message and web surfing. However, every one of these things dependably cost you a high or low price. So, people expect moderate bundles from their network providers to appreciate every one of these things at sensible rates. Each telecom organization gives the distinctive call, SMS, and web packages to their clients. In any case, are these packages truly supportive for customers to address their issues? Probably not! As always Ufone is here to help you in such situation. 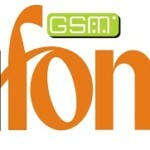 Ufone has presented its bolo offers, and the best amongst them is Ufone Monthly Pakistan Offer. Subscription method is as simple as usual. You simply need to dial *8888# to initiate this offer. Subscription charges will apply. You can activate the offer various times according to your needs. One time activation charges of Rs.418 including tax will apply. You don’t need to stress over daily and additional charges because no such charges will be deducted. Standard per call setup charges of Rs.0.15 + tax will also include. All applicable taxes are included in subscription fees. 19.5% of FED on utilization and other tax on recharge and bill applies. 18.5% of FED and different taxes will apply in Islamabad, AJK, Gilgit-Baltistan, and FATA. Ufone monthly Pakistan offer will give you maximum 4000 minutes to do calls from Ufone to Ufone, landline, and wireless numbers. Other than this you will additionally get 400 Mbs of the data network. Only prepaid customers can get benefit from this offer. As its name mentions, the offer is for an entire month. The offer will terminate at 11:59 pm on the thirtieth day or upon usage of allocated minutes. By activating this offer, 4000 minutes and 400 Mbs will be allocated. After achieving free 400 MB utilization, standard GPRS charges will apply. Voice buckets calls, shortcodes, and NTC numbers are excluded in this offer. You can check remaining minutes and internet Mbs by dialing *707#. The charges include Rs.0.20 + tax. 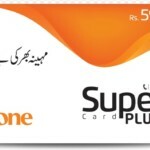 Ufone is conveying what it has guaranteed. You will never perceive so many minutes and data volume at such an inexpensive rate from any other network provider in Pakistan. So hustle just a bit, take this offer now and on the off chance that you are not a Ufone clients, get your prepaid sim from your closest Ufone franchise.